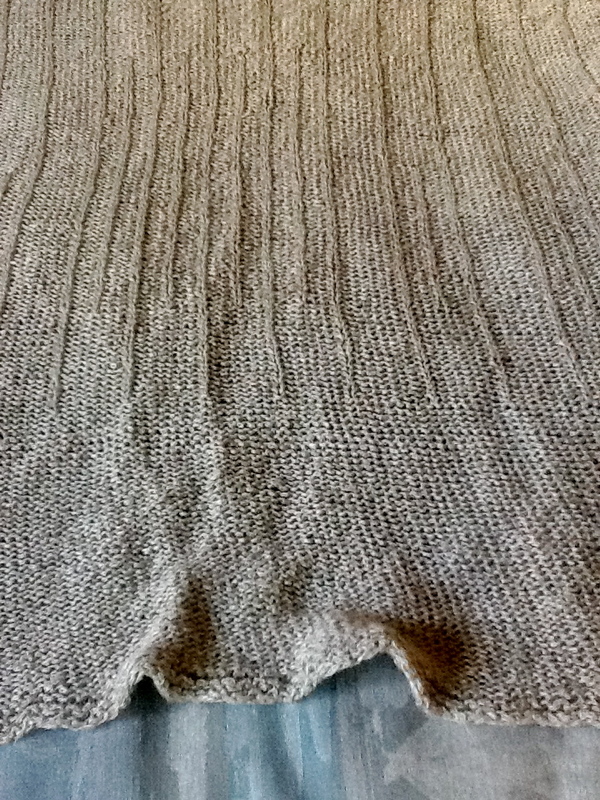 I’ve been doing a fair amount of secret knitting, which means that for blogging, there is far less to report in the short run. It does mean that I’m excited about these projects, and really hoping to show you the results sooner rather than later. 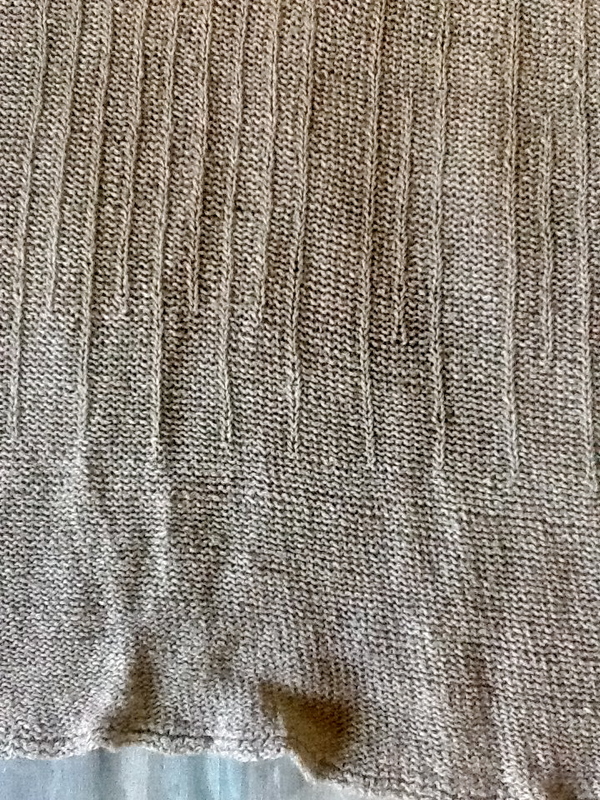 It’s been a few years since I knit with linen, but even I was happily surprised about my experience with this ShiBui Linen yarn. And the drape, oh my! 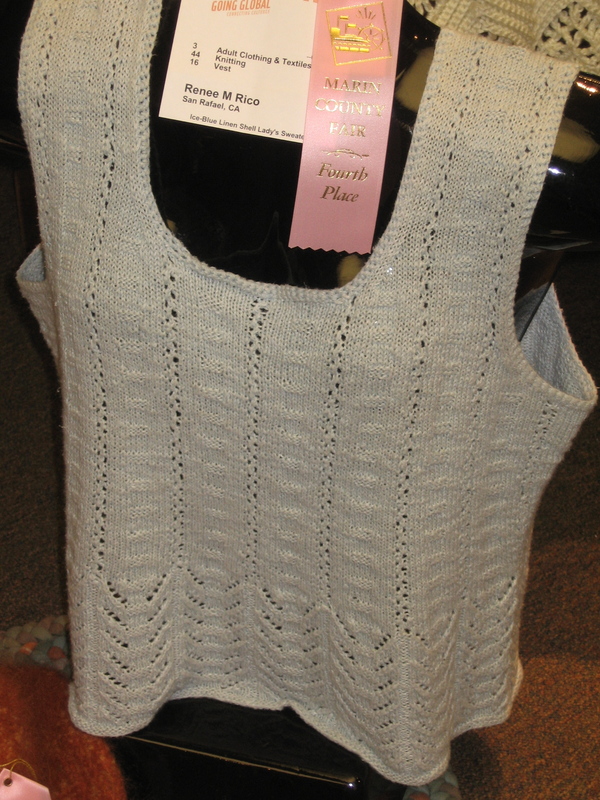 I have a linen tank/tunic I knit a few years ago. I love it, but the drape of the fiber, plus loose gauge, plus the weight of the thing made the armholes grow dramatically after I wore it several times. I ended up folding under the shoulders and just machine-stitching them down. It fits much better now. I had the same thing happen to one of mine (the one in the photo). Machine stitching works great on linen, and I’m not a purist that way!